Hand forged copper circle from 10 gauge copper wire. Hand textured, shaped and patina added. Hanging with natural leather and a Czech flower. Great neutral earrings, light weight and very wearable. 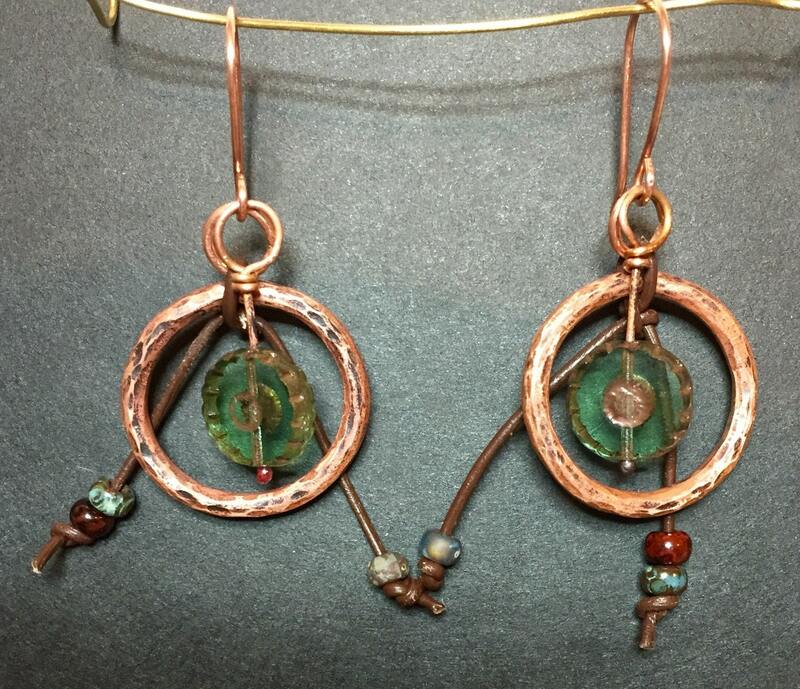 Ear wires are hand made with 20 gauge copper wire.